Today’s children face serious health risks tied to poor nutrition. A recent study predicted that more than 50 percent of today’s children will have obesity by the age of 35 . The increased risk for obesity begins early and is tied to sugary drink consumption . Data from the 2016 Feeding Infants and Toddlers Study suggest that by age 3, half of all children consume sugary drinks such as fruit drinks, juice drinks, juice beverages, nectars, sports drinks, and soda on any given day. The majority of these beverages are consumed at home . Fortunately, much can be done to prevent this risk, and the urgency to act is great. One of the key stakeholder groups poised to tackle this problem is clinicians who work with young children. 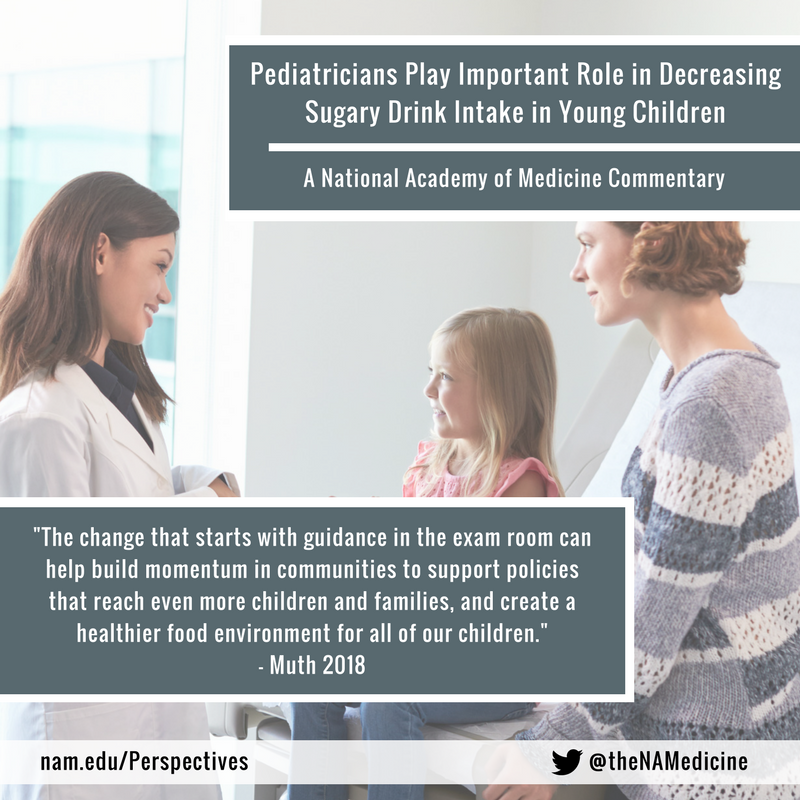 The role that the nearly 100,000 pediatricians in communities across the United States could play in decreasing sugary drink consumption in young children warrants further discussion. Pediatricians are well positioned to help translate some of the strategies to limit sugar-sweetened beverage intake into action. The following are six steps I believe pediatricians can take today to help reduce sugary drink intake and thus improve child health. Include anticipatory guidance around healthful drink choices at every well-child check, starting in infancy. There is no need or room for juice or sugary drinks in an infant or toddler diet. Most pediatricians already encourage moms to exclusively breastfeed their infants until 6 months and then continue breastfeeding until a child’s first birthday or later. As part of this guidance, pediatricians can also remind parents that water can be introduced at 6 months, but breast milk or infant formula should still be the primary source of fluids until 1 year of age. The American Academy of Pediatrics (AAP) advises that children drink no juice in the first year of life. AAP also advises that 1- to 3-year-old children drink no more than 4 ounces of juice a day and 4- to 6-year-old children drink no more than 6 ounces a day . Given that portion control may be difficult and juice provides no nutritional value over whole fruit, pediatricians may consider advising families to avoid juice altogether. In the 14 well-child checks in a child’s first five years of life, pediatricians can make a significant impact by consistently advocating for water and unflavored milk and encouraging parents to keep juices, toddler formula, flavored milks, juice drinks, and other sugary drinks out of the home to the highest extent possible. Engage in an education campaign noting the harmful effects of sugary drink consumption. Initiatives such as 5-2-1-0 (five vegetables and fruits per day, two hours or less of noneducational screen time, one hour or more of physical activity, and zero sugary drinks most days), which has been supported by the AAP, provide an easy-to-remember and clear message that sugary drinks are harmful to health. Beyond clinic walls, this message could also be shared with community partners and on social media for a greater impact. This type of education campaign not only will help individual families make healthier choices, but also may help lay the groundwork for public support of other initiatives or policies, such as a sugary drink tax, a key strategy discussed in the workshop. Promote water as the first choice for thirst and for sports. Pediatricians can advocate the provision of ready access to clean water by preschools, child care centers, schools, and home environments, especially during activity. While we can encourage our patients to be active and participate in sports, we should also remind them that sports drinks are not necessary to recover from most recreational sports, and certainly not from activities that are of low or moderate intensity and last for less than one hour. Rarely is there a reason for a young child to drink a sports drink. Pediatricians can work with local sports teams and organizations and ask them to widely share this information with parents and encourage parents to provide their children with water rather than sports drinks. Advocate for an ad-free childhood as much as possible. Pediatricians can encourage parents to turn off the television and apps that contain ads, many of which are likely to contain advertisements for junk food, including sugary drinks. Young children perceive ads as informational and are unable to critically evaluate them. We can work with older children, parents, and teachers to help children become critical of marketing tactics. The AAP recommends that families create and follow a media-use plan to make it easier to limit and monitor screen time. Walk the talk. Being a model of one who makes healthful nutrition and beverage choices is impactful. Pediatricians and all health care providers can follow the lead of health systems such as Geisinger Health, which recently announced it will no longer serve sugary drinks in its facilities. Children’s hospitals and clinics could stop selling sugary drinks and instead promote water. Additionally, pediatricians may advocate against the offering of sugary drinks in vending machines, at staff or provider meetings, or at professional conferences and meetings. Support local, state, and federal policies that decrease sugary drink consumption in children. The workshop discussed many policies, such as an excise tax on sugary drinks, the piloting of a program in the Supplemental Nutrition Assistance Program (SNAP) in which limitations on sugary drinks are paired with fruit and vegetable incentives, tighter controls on the marketing of sugary drinks to kids, and reformulation of products to help to decrease young children’s sugar consumption. 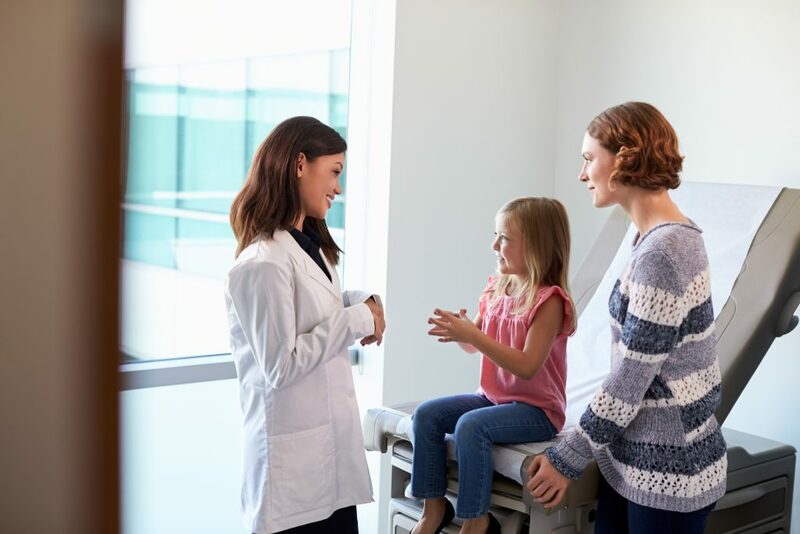 As trusted child advocates, pediatricians can stand up in support of these types of initiatives, lending the effort a credible, passionate, and powerful ally. Every day pediatricians see firsthand the impact that poor nutrition, including the consumption of excess sugars, has on the health and quality of life of children and families. If on most days, most pediatricians take some or all of these six steps, we will succeed in reducing sugary drink consumption in young children. The change that starts with guidance in the exam room can help build momentum in communities to support policies that reach even more children and families, and create a healthier food environment for all of our children. Ward, Z. J., M. W. Long, S. C. Resch, C. M. Giles, A. L. Cradock, and S. L. Gortmaker. 2017. Simulation of growth trajectories of childhood obesity into adulthood. The New England Journal of Medicine 377(22):2145-2153. DeBoer, M. D., R. J. Scharf, and R. T. Demmer. 2013. Sugar-sweetened beverages and weight gain in 2- to 5-year-old children. Pediatrics 132(3):413-420. Wang, Y. C., S. N. Bleich, and S. L. Gortmaker. 2008. Increasing caloric contribution from sugar-sweetened beverages and 100% fruit juices among U.S. children and adolescents, 1988-2004. Pediatrics 121(6):e1604-1614. Heyman, M. B., S. A. Abrams, and the American Academy of Pediatrics Section on Gastroenterology, Hepatology, and Nutrition, Committee on Nutrition. 2017. Fruit juice in infants, children, and adolescents: Current recommendations. Pediatrics 139(6):e20170967. Natalie Digate Muth, MD, MPH, RDN, FAAP, is a pediatrician at Children’s Primary Care Medical Group in Carlsbad, CA. 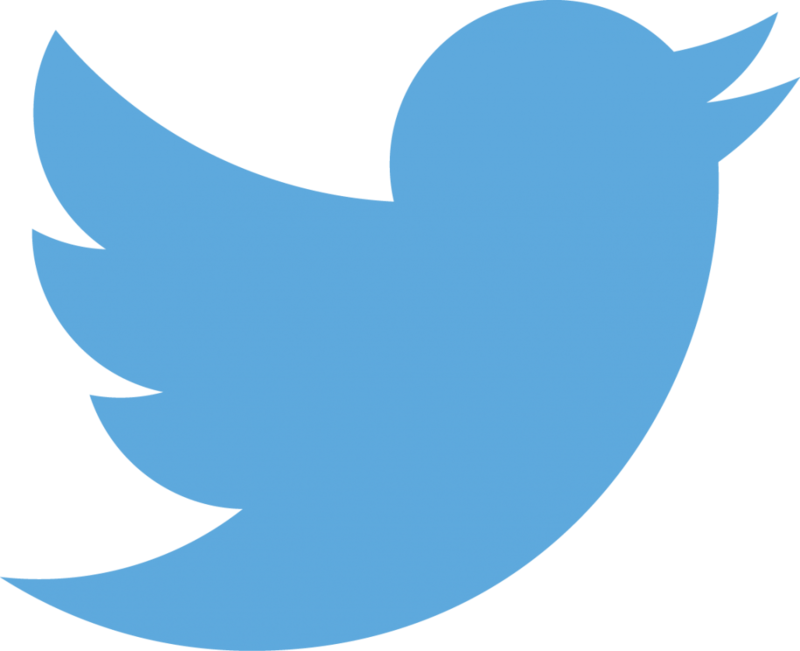 Questions or comments should be directed to Natalie Digate Muth at Nmuth@rchsd.org.